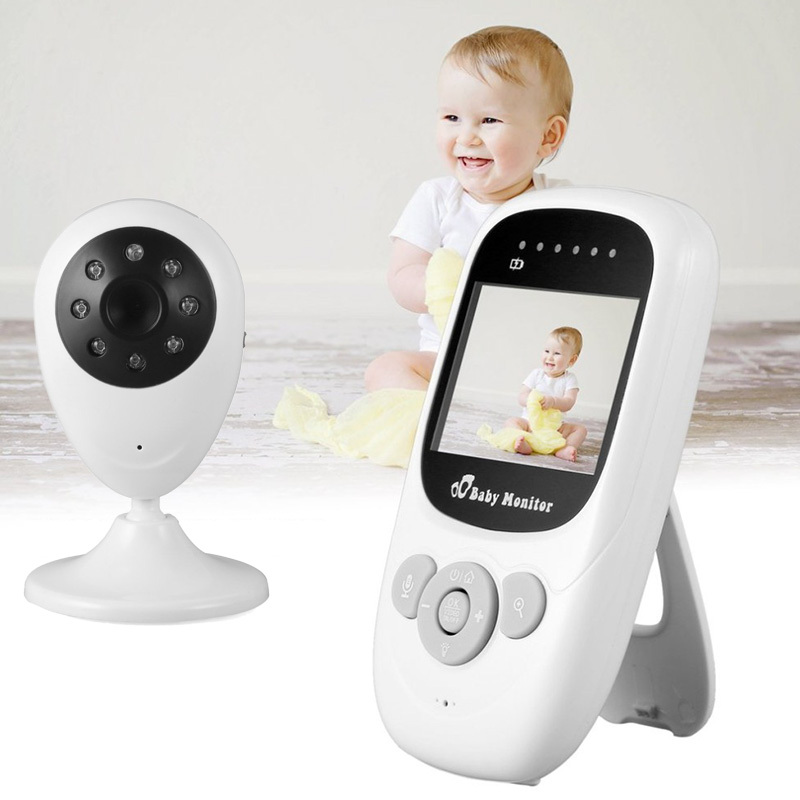 Successfully Added Wireless Baby Video Monitor - Two Way Audio, 300 Meter Range, Night Vision, Lullaby Function, 2.4 Inch Display, Temperature to your Shopping Cart. This wireless video baby monitor consists of a camera and compact high contrast LCD monitor that connect wirelessly and have an impressive 300-meter range. The baby camera has 8 IR LEDs so it can capture your child day or night and the 70-degree lens allows it to cover a good portion of their room. It also has a built-in thermometer so you can check the room is neither too hot or cold. With a built-in 400mAh battery, the baby monitor display doesn't need to remain plugged in so it can accompany you as you move from room to room ensuring your little one can be checked on at any time. The 2.4-inch display has a built-in speaker and mic allowing you to listen and talk to your child. There is even a lullaby function to help your little ones drift off to the land of nod. This wireless baby video monitor comes with 12 months warranty, brought to you by the leader in electronic devices as well as wholesale cool gadgets.